1. Cream and Pink Little Lady Purse! 2. 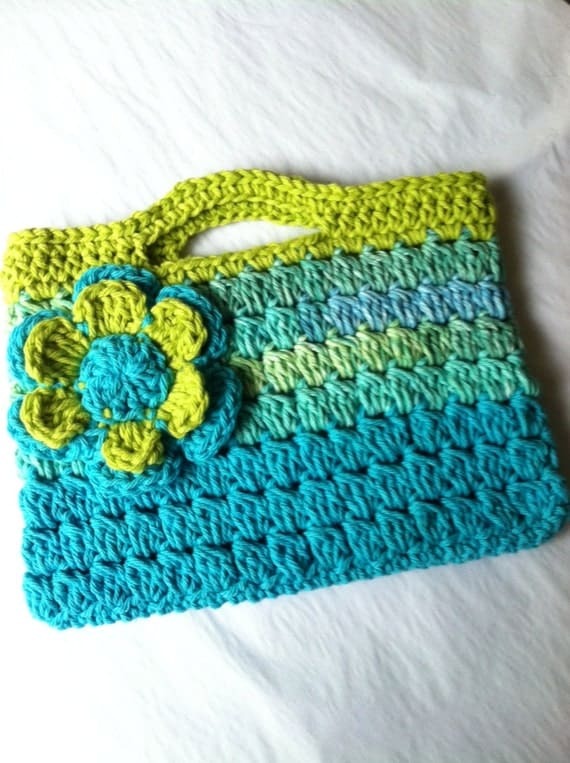 Blue-Green Crochet Purse for Your Little Girl! 3. 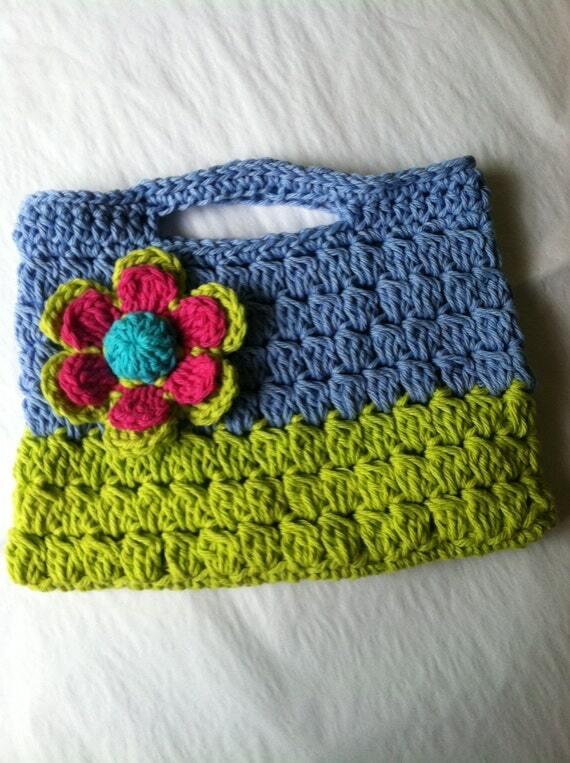 Crochet Little Girl's Purse in Periwinkle Blue, Fuscia, Lime Green and Aqua! 4. Lemon and Blue! 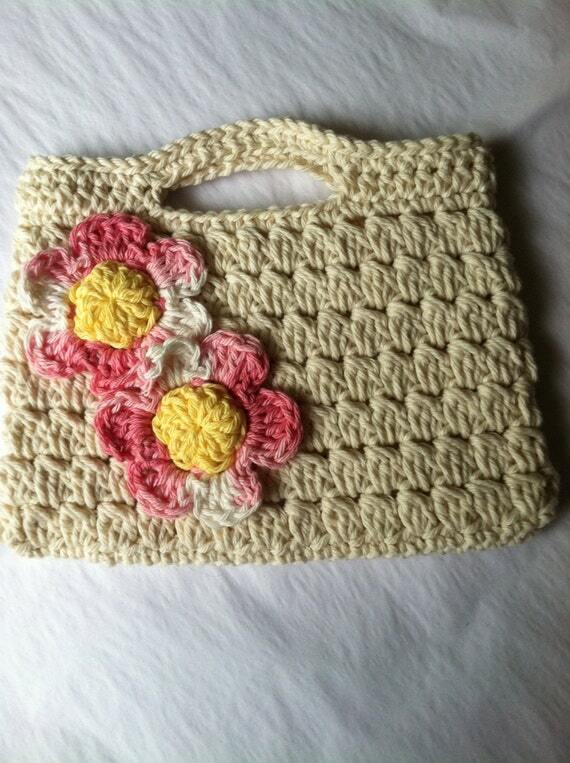 Crochet Purse for Your Little Lady! Adorable for Spring! 5. 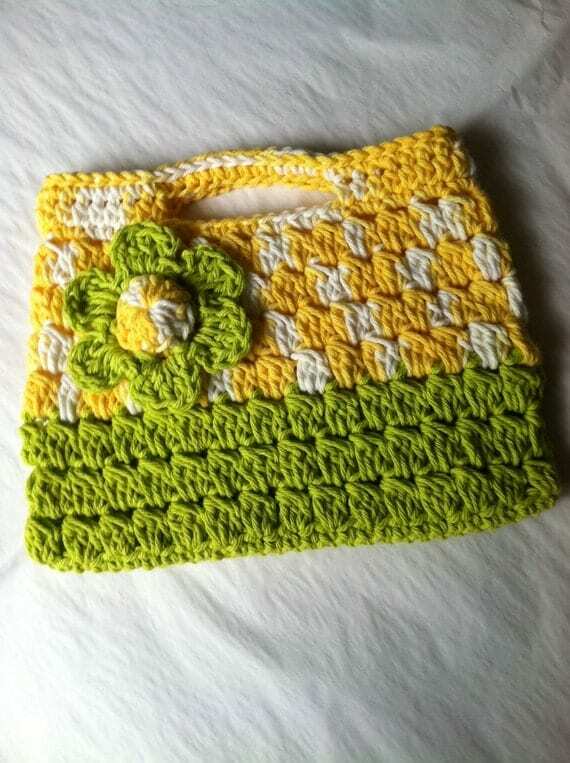 This is the same basic purse done in yellow and white variegated cotton yarn along with cotton yarn in lime! 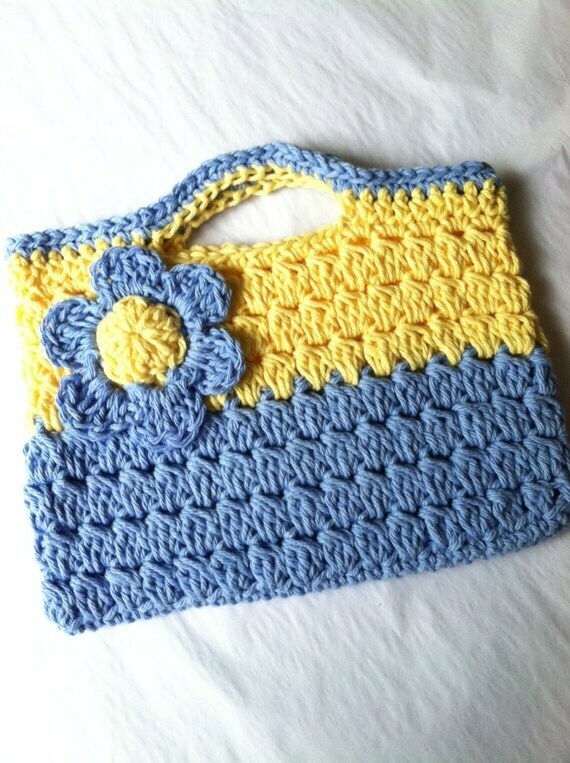 Such a cute crochet purse pattern! These purses were all done using Lily "Sugar and Cream" Cotton Yarns. These yarns are available in so many colors. I will be making all kinds of things from it in the near future! Tomorrow I will focus on hats made from "Sugar and Cream". All of these adorable purses were made adaptations of the pattern offered by Mary Angel at her Angels Chest shop on Etsy! Check it out here.